Academy Award-winning filmmaker Alex Gibney contends that America's richest citizens have "rigged the game in their favor," and created unprecedented inequality in the United States. Nowhere, Gibney asserts, is this more evident than on Park Avenue in New York. 740 Park in Manhattan is currently home to the highest concentration of billionaires in the country. 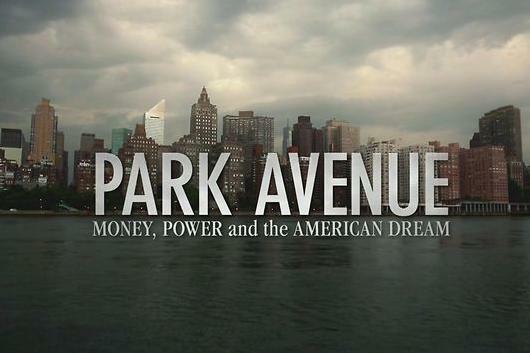 Across the river, less than five miles away, Park Avenue runs through the South Bronx, home to the poorest congressional district in the United States. Join us on January 22 for a screening of Park Avenue, followed by a panel discussion moderated by Professor Nancy MacLean of the History Department with panelists Timothy Tyson of the Center for Documentary Studies and Professor William A. Darity Jr. of the Sanford School of Public Policy. Popcorn and refreshments will be served.